Abstract: The Sodium Fast Reactor (SFR) is a key type of reactor for a sustainable nuclear energy supply in China. The construction of China Experimental Fast Reactor (CEFR) was completed and its physical start-up is under way. As the second step of fast reactor development the China Demonstration Fast Reactor (CDFR) project has been launched. Based on the requirements from CEFR, CDFR and its following-ups the main R&D activities during 2010-2015 include re-validation of design and analysis computer codes, identification of design criteria and standards, safety properties study on CEFR, studies for safe operation of CEFR, irradiation experiments on the CEFR operation and advanced design study and technology development related to CDFR and its following-ups has been arranged. Some innovative improvements related systems and components of SFR are under consideration to aim at more approaching to the goal proposed for Generation IV. 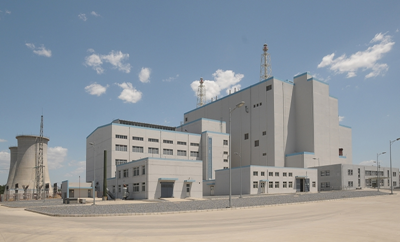 In China the R&D Activities for sodium cooled fast reactor technology was started in mid-1960s. Up to 2006 more than 70 experimental facilities and sodium testing loops have been built-up, which characterized by three phases: Basic Research[1968-1987], Applied Basic Research(1988-1993) and CEFR Design Demonstration (1993-2006) . About 20 years ago, when Qinshan 1 and Dayabay Nuclear Power Plants (PWRs) came to operation, as a principal long-term nuclear development strategy, PWR-FBR-Fusion has been proposed by former Ministry of Nuclear Industry (renamed China National Nuclear Corporation by now), In the same time the China Experimental Fast Reactor Project (CEFR) with a power 65MWt/20MWe has been launched, which is a sodium cooled pool type fast reactor. Its first pot of concrete was in May of 2000. The installation of components and systems was completed in the end of 2008 and the pre-operation testing was started in June 2008. On 5th June 2010 the physical start-up was started. The outside view of CEFR is given in Fig 1. Based on the strategy study on fast reactor engineering development three-steps development strategy has been decided as Table 1 and followed by deployment with one site-multi-units. Matched with strategy, the main technical selections with consistency for different step SFRs have been decided as shown in Table 2, aiming at decreasing the technical and economical risks during SFR technology development and the investment for R&D activities. Following this strategy the second step China Demonstration Fast Reactor with 2 units of power 800MWe each has been launched two years ago. Its site has been selected in Sanming of Fujian Province. The recent and near-future R&D Activities planning have been made-up, to support above-mentioned SFR engineering development requirements. After three years preparation and application totally more than 60 R&D subjects with different categories step-wised are arranged in 2010-2015. Main subjects with their category are listed below. There are totally more than 70 computer codes used for CEFR design and analysis related to nuclear data, neutronics, shielding, thermo-hydraulics, mechanics, seismic, fuel pin. systems and operation state, safety and transients, radiation dose and environment etc. The most of them will be re-validated by the data obtained from the pre-operation testing and trial-operation of CEFR. And these codes will be used for the CDFR design and analysis. The safety codes, regulations, safety guidelines used for CEFR design were collected from documentations issued by the National Nuclear Safety Authorities (NNSA), which are mainly used for PWR, BWR ,HTR and general research reactors. Besides the 39 design criteria for CEFR equipments and systems and 36 related material standards developed by designers, the ASME and 849 national standards (GB Series) were used as general engineering standards for design and fabrication. The suitability of these documents will be checked and evaluated by the operation and maintenance experiences. To understand clearly the safety properties of sodium cooled pool type fast reactor, it is needed to conduct some important tests related ULOF, UTOP and ULOHS. Obviously the safety risk of this type of experiments is existed. So the detailed design and analysis of the experiments are very important.. The principle from low to high risk going with company by the pre-analysis checking with step wise will be taken. Also the limited maximum temperatures of sodium, cladding and fuel should be settled before these tests. Using sodium as coolant induces some engineering safety issues to be studied especially sodium fire, sodium-water reaction. Originally, the countermeasure used for CEFR mainly against the sodium pool fire is composed of the passive leakage sodium receiver; negative pressure ventilation; water spray to wash the sodium gas sol, followed by filters and sodium fire extinguish powder or nitrogen cover gas. As for sodium sprayed fire only very conservative countermeasure has been taken for maximum pressure and temperature in the sodium fire cell. Sodium sprayed and mixed fire study subjects are needed to be conducted. Concerning the sodium-water reaction the detection measures including hydrogen in sodium and in gas, bubble, pressure, flow rate and sodium level detectors are equipped in CEFR. Ultrasonic sodium-water reaction detection technology development will be arranged. The CEFR operating team has been trained on domestic research reactors and foreign fast reactors. For the understanding to CEFR operation transients and consequences of various accidents it is used only with computer simulation. So it is important to establish a CEFR fall scale operation simulator for training the operators with direct operating and like real data display. Several important components imported from abroad including sodium pumps, large sized valves, fuel handling machine, steam generators etc. which share 30% of CEFR equipment and systems budgets. Their nationalization not only for CEFR standby, but for decreasing the importation sharing for future fast reactors. So the R&D activities including their design and fabrication technology will be launched. All important process data including neutronics, thermo-hydraulics, dose etc are recorded in CEFR with an internal net. But to ensure safe operation of CEFR it is needed to establish the CEFR operation data files including reliability of systems and equipments, materials data, aging data of components, operation transient data etc. As a limiting event of beyond design basis accident (BDBA) total instantaneous blockage (TIB) of one fuel subassembly has been considered in CEFR, Thanks to the sodium void effect being a strong negative value i.e. about -4×10-4Δk/k/S.A. in center of the reactor core. So the reactivity changement is to be used for identification of this type of accident. It is planned to develop an sodium boiling ultrasonic detection technology as another candidate against TIB accident. Under sodium ultrasonic visual technology is necessary when unforeseeable something drop down to the main vessel or to check some structure displacement: The development of this type equipment is under planning. The samples of material used in key components in reactor vessel, as 316TiSS (for cladding and subassembly structure), 316LSS(for grid plenum and core barrel), 316SS and 304SS (for reactor main vessel) and shielding material will be irradiated from 2012, it needs many years to accumulate the irradiation damage dose (DPA). It is intended that some new material as 15-15TiSS, HT9, and ODS, after their sufficient cooled performance data been accumulated, will be put in CEFR to be irradiated. A MOX fuel laboratory with the capacity of 0.5t/a is under hot testing stage with Plutonium from PWR reprocessing pilot plant. It is arranged to put MOX fuel pin bundles to CEFR for irradiation from 2012, and intended MOX fuel subassemblies irradiation in 2014-2015. For the third step of fast reactor engineering development and transmutation study,the different fuels: (U,Pu,Zr), MOX(MA) and (UPu,Ma,Zr) will be irradiated in CEFR after 2015. According to the requirements of CDFR design and construction, the safety and reliability should meet the recommendation by IAEA-TECDOC-1083 and accord with the related goals proposed by GIF, and based on the experience on CEFR following main R&D activities have been arranged for 2011-2015. (1)Passive shut down system is under preliminary development which is much important, as an engineering measure, to compensate the possible positive sodium void effect in large sized fast reactors. (2)Independent passive decay heat removal system will be developed based on the CEFR experience, in which this type of system has been successfully used to avoid the co-cause failure for decay heat removal function. (3)An advanced delay neutron detection system for quicker, more efficient and sensitive detection of fuel pin failure is to be developed. (4)A multi purpose sodium testing installation for testing and demonstrating large sized sodium components will be designed and build. 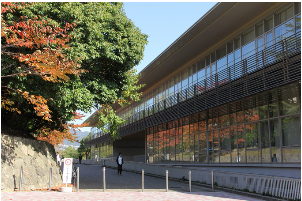 (5)The reliability study on structure materials and components will be arranged. (6)It will be arranged to develop advanced on-site-inspection technology including ultrasonic detection, vibration measurements, etc. (7)The UPu,Zr alloy fuel and pyro-processing technology development, will be continued.etc. Even though the sodium cooled fast reactor technology has been matured in the world, but more economical and safer SFR systems are always requested by the users based on the recent experiences on CEFR, some improved concepts have been under consideration including changing the handle head structure of fuel subassembly to facilitate the measurement of outlet temperature of each fuel subassembly; simplified primary sodium purification system and perch placement to avoid primary sodium leakage; Lead Bismuth used as secondary heat transfer liquid to avoid sodium water reaction risk; to develop low thermal expansion materials to design ,compact high temperature systems, etc. The principle for selecting and making-up the R&D activities plan is to use CEFR getting more knowledge on SFR, especially with pool type; to ensure CEFR having safe operation and to take goals of Generation IV as the targets of the CDFR and its following-ups. Some new concepts which is for future development are proposed to improve recent design getting more comprehensive approach to goals of advanced sodium fast reactors. The development and deployment of SFR and its closed nuclear fuel cycle is a very important candidate not only for China, but for the Global, providing a sustainable cleaning energy supply for the future. In this field China has taken part in the international cooperation projects INPRO,GIF and GNEP and has some bi-cooperation with other countries for sharing the experiences, especially on R&D activities which will promote China advanced fast reactor development. The author sincerely expresses the deep thanks to his colleagues who contributed to the China fast reactor technology R&D activities. XU Mi, Fast Reactor Technology R&D Activities in China, Nuclear Engineering and Technology, Vol 39, No.3 Korean Nuclear society, June 2007 P.187-192. Status of Liquid Metal Cooled Fast Reactor Technology, IAEA-TECDOC-1083 April 1999 P185-186. A Technology Roadmap for Generation IV Nuclear Energy Systems, GIF-002-00 Issued by the US DOE Nuclear Energy Research Advisory Committee and the Generation IV International Forum, December 2002,P.6.